Economic security goes hand-in-hand with national security. While the global economy has continued to grow, lifting millions of people out of extreme poverty, the global rate of armed violence has continued to rise, threatening and limiting this rate of progress. 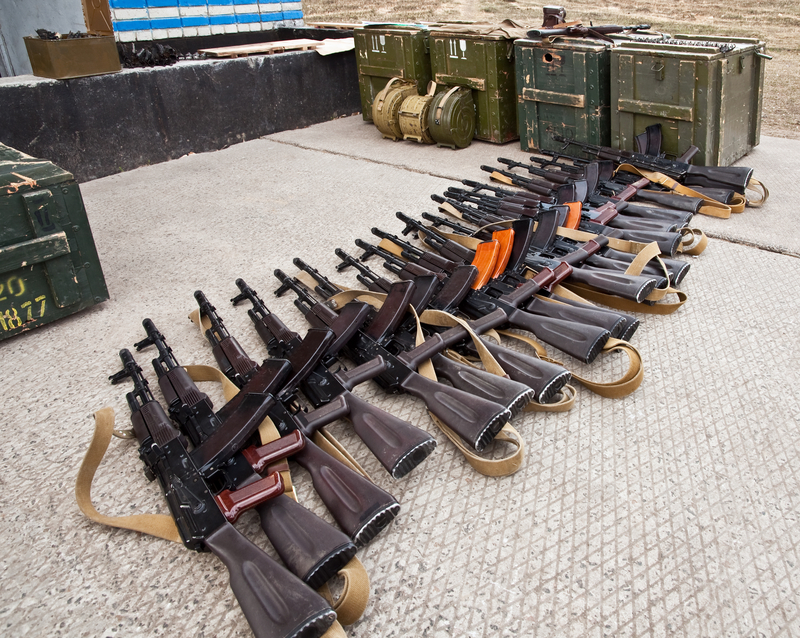 Illicit arms, and in particular, Small Arms and Light Weapons (SALW) are the key enablers of violent crime, terrorism and armed conflict, all of which have a detrimental effect on inward investment, trade and tourism. In September 2015, the UN Member States adopted Sustainable Development Goal 16.4, which aims to significantly reduce illicit arms flows by 2030. Indicator 16.4.2 aims to measure progress by focusing on ‘Proportion of seized, found or surrendered arms whose illicit origin or context has been traced or established by a competent authority in line with international instruments.’ This workshop focused on ways to increase seizure and surrender of illicit SALW in Commonwealth member countries in Africa through strengthening law enforcement capacity and civil society reporting of illicit arms holdings and trafficking activities. Because they are easy to conceal and transport, difficult to track across porous borders and in many cases widely available in the illicit market, establishing a comprehensive framework for illicit SALW detection remains a challenge across the Commonwealth. In addition, the economic drive to streamline and increase the flow of people and goods within the country and across borders means that stringent physical checks by law enforcement agencies are in most cases not feasible. This shifts the balance towards reporting as the main means through which law enforcement agencies can detect illicit SALW. As the victims of violent crime, terrorism and armed conflict, members of the public have a vital role to play in informing law enforcement agencies of illicit caches of weapons and trafficking networks. But in order to do so, they need encouragement, straightforward procedures, the right tools and assurance that action will be taken in a manner that doesn’t expose them to retribution. This workshop brought together law enforcement agencies, international organisations, SALW institutions, civil society and industry to discuss the challenges of detection and public reporting initiatives as well as the opportunities to bridge the gap between law enforcement agencies and the public. The first part of the event focused on the lessons learnt from the interventions made in Commonwealth countries to increase reporting and evaluate the opportunities provided by tools like modern technology. Building on these conversations, participants then broke into working groups to explore how they would approach reporting programmes and identify opportunities for future cooperation.